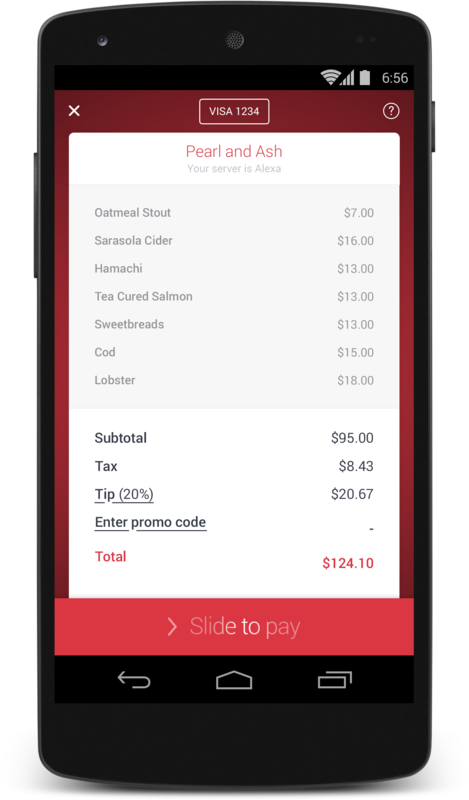 Today, we’re excited to announce the launch of our Pay with OpenTable feature for Android. We’ve already seen how diners have benefited from our mobile payments functionality by using their iOS devices, and now we’re thrilled to offer a way for Android users to pay without the wait. Our team has been working hard to make this new Android feature an intuitive and frictionless experience. To pay with OpenTable, diners simply book a table at a participating restaurant and add a credit card in their OpenTable Android app before they dine. Then they can view and pay their check with a few taps. There’s no separate app to download; no codes to enter; and no scanning or barcodes involved. Diners who pay with OpenTable simply get up and go whenever they’re ready. It’s that simple! We’re so excited to welcome Android users to try our mobile payments feature and look forward to receiving your feedback. To learn more about OpenTable mobile payments, watch “Life’s too short to wait for the check” and visit //pay.opentable.com/ to view the current list of participating restaurants. Restaurants who are interested in providing their guests with the experience of paying with OpenTable can learn more at //pay.opentable.com/restaurants. Aditya Singh is a senior product manager at OpenTable. This is awesome! I hate waiting for the bill especially at lunch time when its busy and am rushing back to the office.